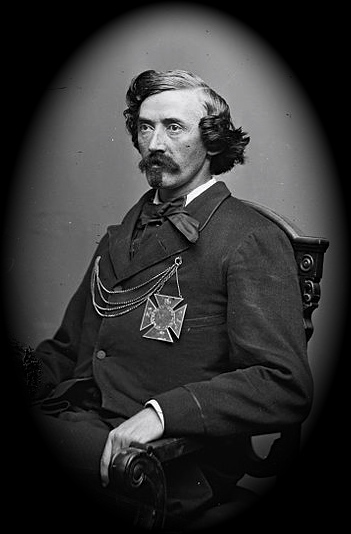 The First Brigade of the Railroad Division was led by Col. James A. Mulligan. The brigade included four regiments — the 23rd Illinois, the 106th New York, the 14th West Virginia, and the 15th West Virginia. This letter was written by Lewis W. Wilson (1842-1881) of De Peyster, New York. 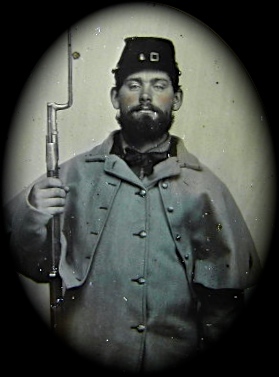 He mustered in as a private in Company C in August 1862 and was later promoted to sergeant. He was wounded in action at Monocacy, Maryland on 9 July 1864 and again on 19 October 1864 at Cedar Creek, Virginia. He was promoted to first lieutenant before the end of the war. Lewis was the son of Loran Wilson (1813-1880) and Polly Austin (1814-1880) of De Peyster, St. Lawrence County, New York. After the war, he married Martha E. Keyes (1845-1915). This Sunday eve I sit down to write you and as Howard & myself is enjoying good health, we wish you the same. But it is very sickly here at present/ It will average 15 out of every that are in the hospital either here or at Cumberland some which are very sick. We had another funeral here this day making 14 that have gone where they will know no more war or fighting between nations. Some of these I think might have been with us now if we had good doctors but we have not and we have to make the best of them we can. We had good times at Rowlesburg [Virginia]. We was there 11 days. Six of this days I was sick with the jaundice but was up all of the time as it happened there was a good doctor there and he cured it. Howard was as tough as a bear all the time. We gave two shillings a week for the cooking of our rations and lived on the upper shelf all the time. There is 15,000 union soldiers here now all lying still doing nothing to bring this war to a close. Yesterday we had a grand review. It was enough to make a man shudder to see 15,000 men in line and think what it takes to pay them one month. On a average, it takes 31 dollars which makes 465,000 in one month for just 15,000 men. It takes $8,000,000 each day to support this war. If the North can stand that long, I do not see how they can pay the debt. We now belong to [James A.] Mulligan’s Brigade and have to guard the railroad from Cumberland to Wheeling which is about 200 miles. There is four regiments in his brigade. The most of the boys think that they will have a chance to go home by the first of next May. I hope that it will be so but can’t see it yet and as long as we have such generals, this war will never be settled. But the President will not let any of the soldiers go in winter which is a good sign that there is something a going to be done. I hope that Burnside will do the right thing. We heard that they was a going to raise 600,000 more but I hope not for we have got men enough if they would let them fight. We would like to have you send us some things. We want some boots for they cost $8 per pair such as you could get in ____ for $4½ and not half as good. If you can send some, get 10’s for me and 8’s for Howard. Rib skin, long-legged, double-sealed, and tops on them like my boots that Rickett made, and send one box of Wright’s [Indian Vegetable] Pills. Everything else that we want we can buy here as cheap as you can get there and save the fare on it. You can send it with some others. George Eustis ¹ has sent for boots also. Henry Wilson and C. Rounds boys [George, Levi, & William] all can come in one box. Lloyd [C. Washburn] wants his tweed vest sent. I believe this is all this time. Send the box in Capt. Samuel Parker’s ³ name and then it will come all right and as soon as possible. We expect our pay soon and will send the most of it home. The weather is very cold now. It has been trying to snow all day but has not made out much. The nights are quite sharp — what I did not expect to see in Virginia. ¹ George D. Eustis (1844-18xx) enlisted at De Peyster, New York as a private in served in Company C until the end of the war. ² Henry H. Wilson (1840-18xx) enlisted at De Peyster and mustered in as a corporal in Company C. He died 20 January 1864 in New York City. ³ Samuel Parker was mustered in as the captain of Company C on 27 August 1862. He was transferred to Company E in March 1863 and was wounded in action at Fisher’s Hill, Virginia, on 22 September 1863. He died of his wounds on 1 October 1863 at Winchester, Virginia. This entry was posted on Saturday, June 28th, 2014 at 6:44 pm	and posted in Uncategorized. You can follow any responses to this entry through the RSS 2.0 feed. It was nice to find this, I am transcribing some letters that mention the Rounds and Lewis’s brother Loren, as well as Henry Wilson and his brother Virgil. Thank you for sparing and sharing.